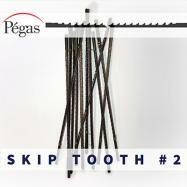 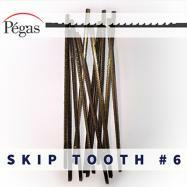 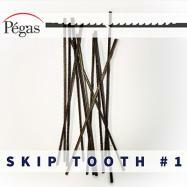 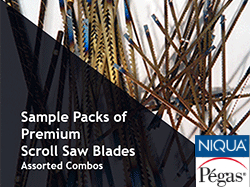 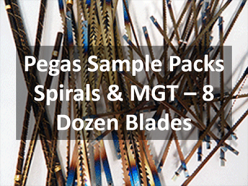 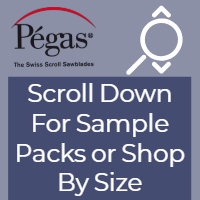 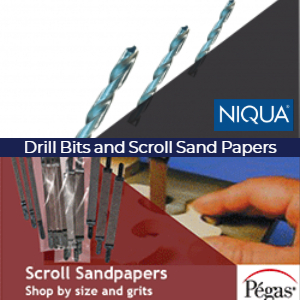 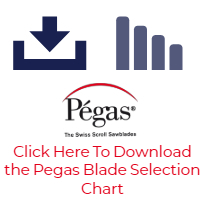 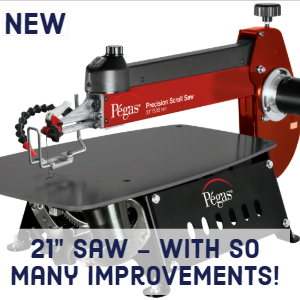 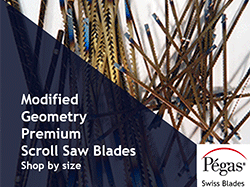 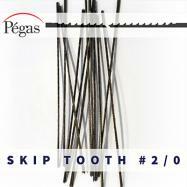 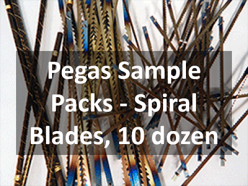 From Pegas of Switzerland, this is a Universal Scroll Saw blade, very efficient for Hard and Medium‐Hard woods. 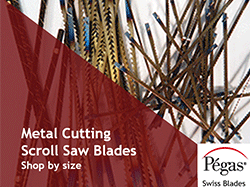 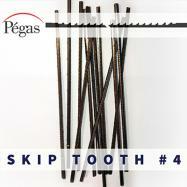 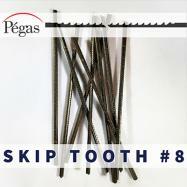 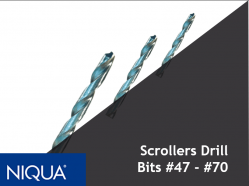 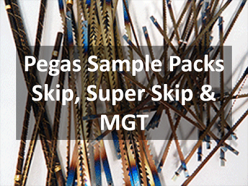 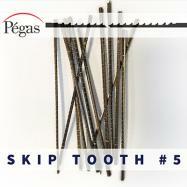 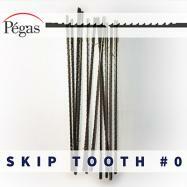 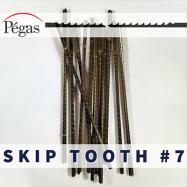 The wide range of SKIP allows the cutting of intricate patterns as well as rough‐cut work. 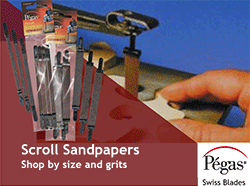 It will accept a fast feed rate and will leave a smooth finish. 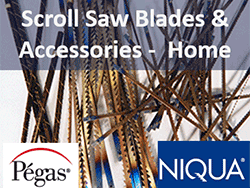 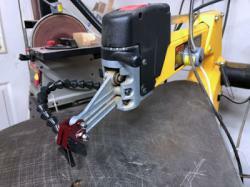 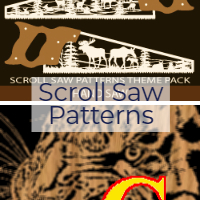 Skip Tooth Scroll Saw Blades are a good all around versatile application blade. 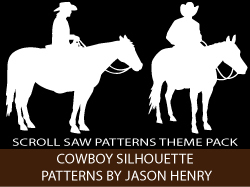 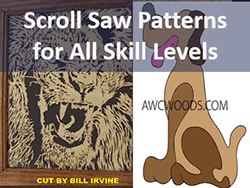 The range of sizes and teeth per inch allows the cutting of intricate patterns as well as rough-cut work. 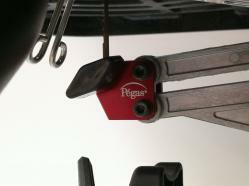 Thickness of work range from 1/16in. 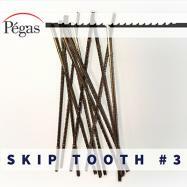 to 2-1/2in. 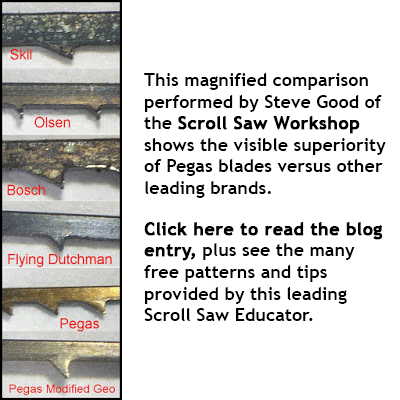 Skip blades perform well with wood, plastic, bone and most fibrous materials. 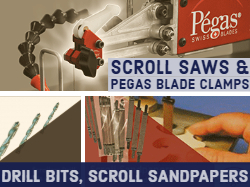 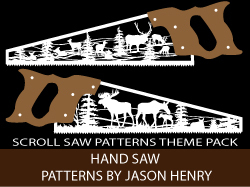 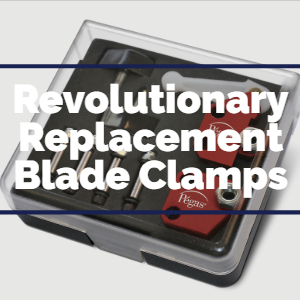 The scroll saw blades provide good chip removal, will accept a fast feed rate, and will give a smooth finish. 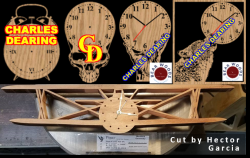 SSB-41 2/0 .0087" .0236" 28.2 .0094" .06-1/4" (1.5-6 mm) Intricate ℵ Yes Yes OK OK OK 70 .0280"
SSB-415 0 .0094" .0291" 25.4 .0102" 1/12-1/4" (2-6 mm) Intricate ℵ Yes Yes OK OK OK 68 .0310"
SSB-42 1 .0102" .030" 22.7 .0114" 1/10-1/3" (2.5-8 mm) Intricate ℵ Yes Yes OK OK OK 64 .0360"
SSB-43 2 .0118" .0307" 21 .013" 1/8-2/5" (3-10 mm) Intricate ℵ Yes Yes OK OK OK 64 .0360"
SSB-44 3 .0126" .0335" 19.5 .0142" 1/6-2/5" (4-10 mm) Intricate ℵ Yes Yes OK OK OK 60 .0400"
SSB-45 4 .0134" .0374" 18.1 .015" 1/5-1/2" (5-12 mm) Tight ∈ Yes Yes OK OK OK 57 .0430"
SSB-46 5 .0142" .0402" 16.9 .0157" 1/3-3/5" (8-15 mm) Tight ∈ Yes Yes OK OK OK 56 .0465"
SSB-469 6 .015" .0441" 15.9 .0165" 1/3-3/4" (8-18 mm) Tight ∈ Yes Yes OK OK OK 56 .0465"
SSB-47 7 .0157" .0488" 14.9 .0177" 2/5-4/5" (10-20 mm) Tight ∈ Yes Yes OK OK OK 54 .0550"
SSB-473 8 .0165" .0504" 14.1 .0185" 1/2-4/5" (12-20 mm) Light ∼ Yes Yes OK OK OK 54 .0550"
SSB-48 9 .0173" .0512" 13.4 .0193" 1/2-1" (12-25 mm) Light ∼ Yes Yes OK OK OK 52 .0635"
SSB-49 10 .0181" .0543" 12.7 .0205" 3/5-1.17" (15-30 mm) Light ∼ Yes Yes OK OK OK 52 .0635"
SSB-495 11 .0189" .0575" 12.1 .0213" 3/4-1.56" (18-40 mm) Light ∼ Yes Yes OK OK OK 47 .0785"
SSB-50 12 .0197" .061" 11.5 .022" 4/5-2" (20-50 mm) Light ∼ Yes Yes OK OK OK 47 .0785"